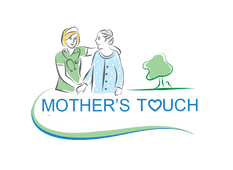 The hospice RN is your Case Manager responsible for coordinating all other staff care givers and information. Even though he/she will coordinate all others of your team and must have intimate knowledge of those team members areas of expertise, their specialty is medical. Their goal is to make you as comfortable as possible. Assessments during routine visits to include inquiries and/or measurements related to nausea, shortness of air, pain, nutrition (low protein and activity not best for skin), activity, sleeping, bowel health, and more in addition to vital signs. A Mother's Touch difference is our nurses' evaluation and interventions as a result of those assessments. I.E. it doesn't do much good for a nurse to discover, say, pain and do nothing to decrease the pain. A patient's calves were cramping. The nurse assessed the patient's musculoskeletal condition and discussed any past history of such a condition. "It doesn't do much good for a nurse to discover, say, pain and do nothing to decrease the pain"
She assessed nutrition and fluid intake and noticed a medication on the patient's "med list" that could be causing the problem. The nurse also discovered during her evaluation that the patient confirms there is also some back pain. Back at the office health history records were reviewed and they confirmed a history of a herniated disc in her lower back. The nurse suspected that the patient's lower back tightness and pain could possibly be causing "referred" pain in the patient's calves. The nurse formulated a report to the patient and gave the patient a call. After discussing with the patient and receiving her approval the nurse called the Doctor. The nurse fully informed the Doctor and asked the Doctor about a Lidoderm patch to try on the patient's back instead of a systemic medication [another pill]; at least for now. Labs were requested and the medication of concern was discussed. The Doctor ordered the labs (which the RN can and did do to eliminate a doctor visit), changed the medication that could now or later cause leg cramps. Doctor also ordered the Lidoderm patch. The labs came back confirming some dehydration and malnutrition and low magnesium. The patient was started on supplemental shakes +protein and she agreed to ﻿﻿﻿increase her liquids and log her daily food and fluid intake. A wheel chair and walker were provided to the patient to reduce related stresses on the lower back. Education was given on all matters and on the interrelationship of them with each other. The results were that the patient was soon able to discontinue the Lidoderm patches because her legs no longer cramped. Weight and hydration increased improving skin health. That is what we do. We work hard to fix what we can. Another difference between Mother's Touch and many other hospices: The nurse follows up on medication changes and does so often to determine the effect, any side effects, and effectiveness or lack thereof of changing a medication. Those results are reported to the Doctor immediately so the Doctor can stay the course, change the dosage, or try a different medication.